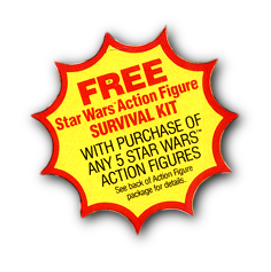 The first offer on Empire cards, was for a Action Figure Survival Kit. The kit was essentially a way to get some replacement weapons and a few accessories that weren’t available anywhere else like gas masks, grappling hooks, and the Jedi training harness for Yoda to ride on Luke’s back. 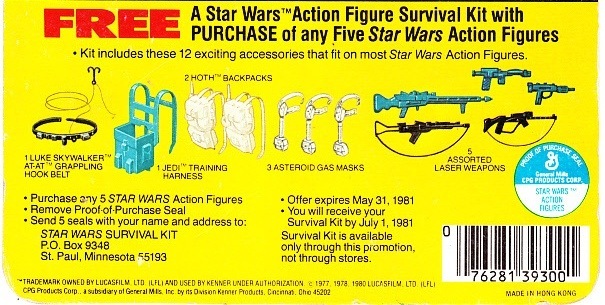 Afterwards, some of these were then included in some vehicles/playsets. 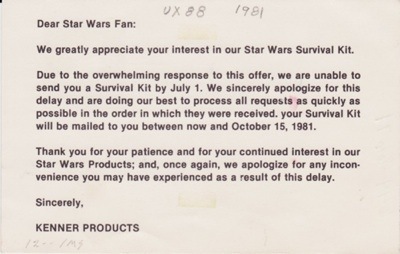 The offer was advertised on cardbacks and Television which stated that it expired on May 31, 1981. 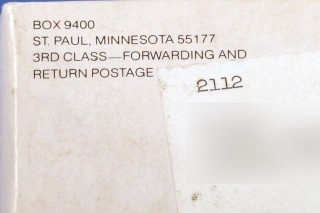 The offer was apparently a great success and if you were one of the unlucky ones, you received this postcard in the mail saying that you would have to wait as late as October 15, 1981 to get your kit. 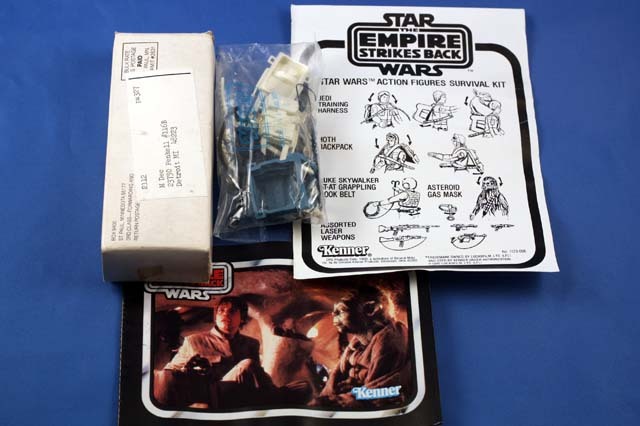 There appears to have not been many variations on how these were received other than I’ve seen a few without the instruction sheet.